Leading Manufacturer of solar flasher light, solar delineator, solar blinkers, solar flasher, solar road studs and solar chevron from New Delhi. 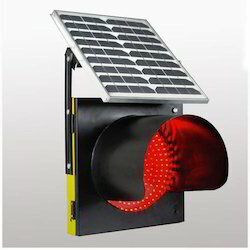 Solar Warning Flashers with high power LEDs to attract drivers' attention from a greater distance. All Warning flashers are Solar powered with autonomy of more than 5 days after full battery charge. We are instrumental in offering the finest quality Solar Delineator to our prestigious clients. The offered delineator is designed using optimum quality basic material and advanced technology under the guidance of skilled professionals. 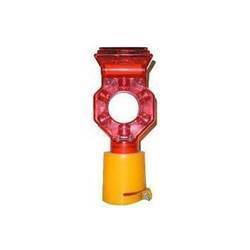 We provide this delineator in different sizes, shapes and designs as per their demands. 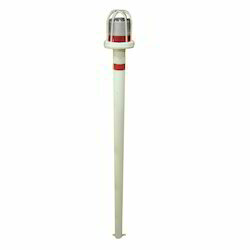 Helps in preventing accidents at night, this delineator is checked against different quality measures so as to ensure its quality. Battery: 2 X 1.2Volts, Nimh-1600mAh. We are trusted as a one of the distinguished manufacturer, wholesaler and supplier of quality approved Solar Blinkers that are mounted on various poles to guide and warn various vehicle drivers of an approaching crossover. The offered blinkers are manufactured by utilizing high grade basic material and innovative technology in adherence with industry norms. Furthermore, these blinkers are tested by our quality examiners so as to deliver qualitative product at clients end. 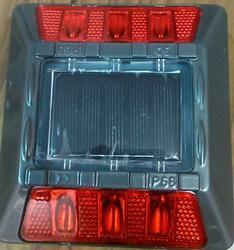 We offer these blinkers to our clients in various sizes, designs and specifications. In order to fulfil the diverse requirements of our valuable client, we are engaged in offering a qualitative range of Solar Flasher. Easy to carry anywhere and provides bright light, provided flasher is manufactured using quality tested basic material and ultra-modern technology in compliance with industry norms. Furthermore, this flasher is tested on different parameters by our quality examiners. We offer this flasher to our clients various sizes and designs. Our Company is a trusted manufacturer and supplier of a diverse range of solar road studs which have been designed exclusively for road safety. We utilize a quality range of raw material that guarantees high performance and durability of our product. A special feature of our solar studs includes automatic flashing during dim light hours such as dawn or inclement weather. We guarantee clear visible guidance during favorable as well as hostile weather conditions. We offer a wide range of solar road studs that are manufactured using state-of-the-art machinery and latest technologies. 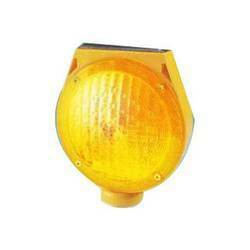 These provide traffic guidance to people in all weather conditions. 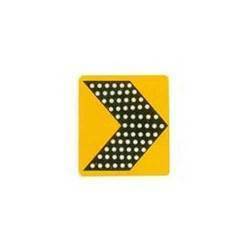 We are exclusively engaged with our expertise in supplying a wide assortment of Solar Chevron. Enhances safety at night time and during inclement weather conditions, provided chevron is designed using premium quality basic material and cutting edge technology under the vigilance of our adroit professionals. The chevron provided by us is checked on various quality measures so as to ensure its quality. Apart from this, offered chevron is available in various sizes, designs and specifications.